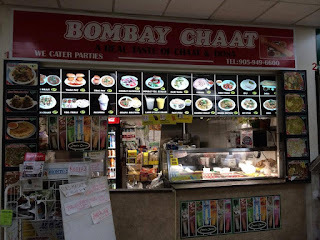 Bombay Chaat and Dosa is a Pure Vegetarian Fast Food South, West and North Indian Restaurant and reserves foods from Differ ent parts of India and authentic Bombay Street Foods of the food is sold by hawkers from mobile stalls in Bombay. It is one of the characteristics of the city. The city is icts Known for distinctive street foods. ALTHOUGH street food is common all over India, in Bombay street food is Noted Because people from all economic classes eat on the roadside Almost round the clock and it is felt Sometimes que la taste of street food is better than restaurants in the city. Many Bombayites like a small snack on the road in the evening. People of Mumbai cut across barriers of class, religion, gender and ethnicity are passionate about street food. We serve you Purely vegetarian food and give you the true flavors of Bombay Street Foods of purpose Located in Mississauga CANADA. HOWEVER, there are more than thesis That can treat the taste buds.